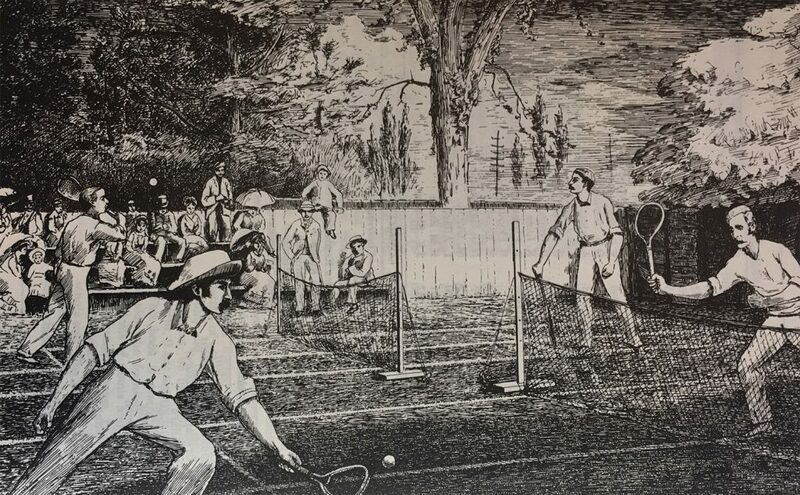 The Toronto Lawn Tennis Club was established in 1876, mainly through the exertions of Mr. T. S. Plumb, where the grounds at 147 Front Street were obtained. The ladies were by no means ignored during this period. The first Ladies’ Championship had taken place at the Lawn in 1883 and was won by Miss Bradshaw, but due to a lack of sufficient entries, the next championship was not held until 1891, when Miss Osborne of Sutton began a run of successes through 1894, defeating Mrs. Smith of Ottawa 3 times and then Mrs. Whitehead of Brantford at Ottawa. 1895 proved a milestone in the history of the club, for in that year it gave up its courts on Front Street and threw in its lot with the Toronto Athletic Club at 149 College Street, which for a long time housed 52 Division of the Metropolitan Toronto Police Force and now is a home for a section of the Ontario College of Art. 1900 was the last year for the Lawn at 149 College. The decision to move may indeed have been made in 1899 or else very early in 1900, since clay courts at the club’s new location on Bathurst Street were laid in time to open the season on May 24, 1900. 1911 was a critical year in the history of the Lawn, because it was that year that the club seems to have decided to act on a proposal, which must have been considered certainly in 1908 and goes back to thee Annual General Meeting in 1900, with the motion that permanent grounds should be obtained. This was an offer for the sale of certain portions of the Pricefield Estate. Official opening of the new grounds took place on Saturday, May 10. The new grounds immediately became the centre of tournament tennis again. 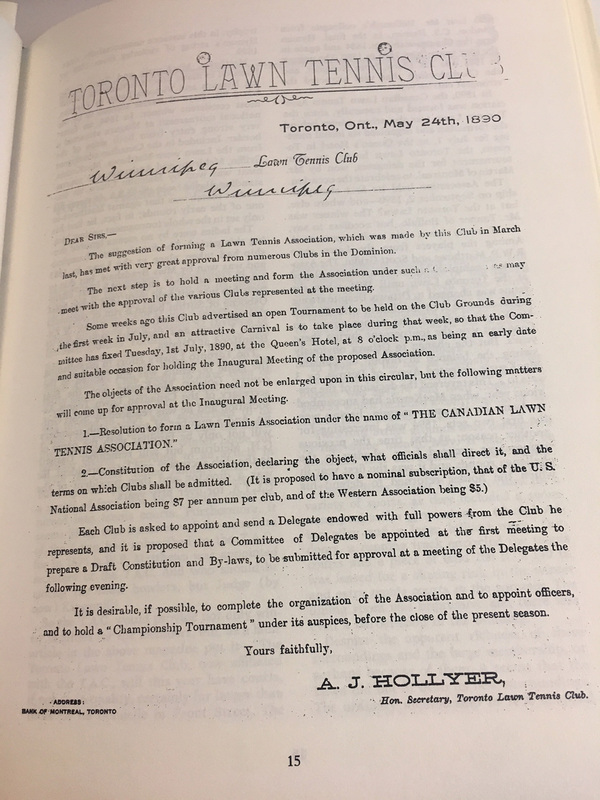 The Ontario championships were held there in July and although the National championships – a closed affair – were played on ten new grass courts at the Broadview Y in the second week of August, they were followed by the C.L.T.A. championships, that month, as reported in Saturday Night. 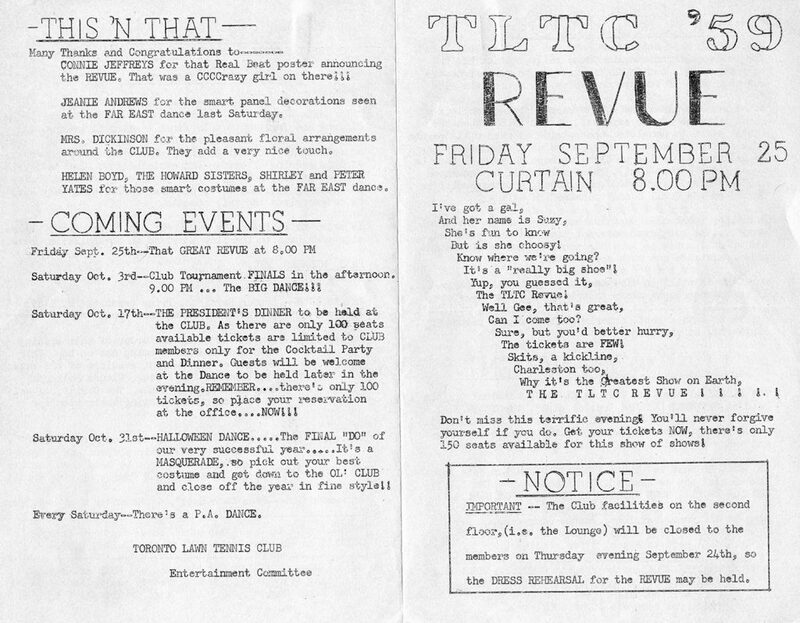 “The present summer is the T.L.T.C.’s first season in their new quarters on Price Street, east of Yonge and south of the C.P.R. tracks. 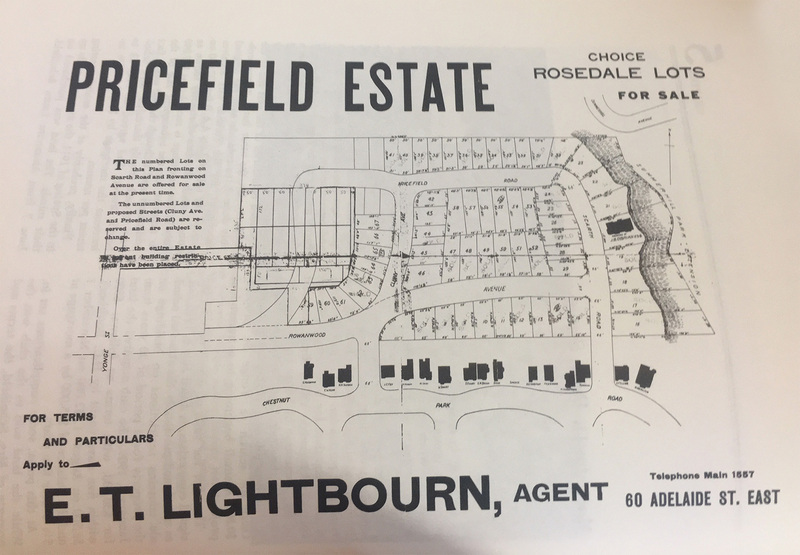 Here on a plan of grounds enclosed by a brick wall 20’ high, in time to be obscures by a close line of poplar trees, 20 clay courts have been laid out and the clubhouse erected. The clubhouse is of grey stucco and in the Mexico or hacienda style of architecture, with spacious upper and lower balconies overlooking the courts. 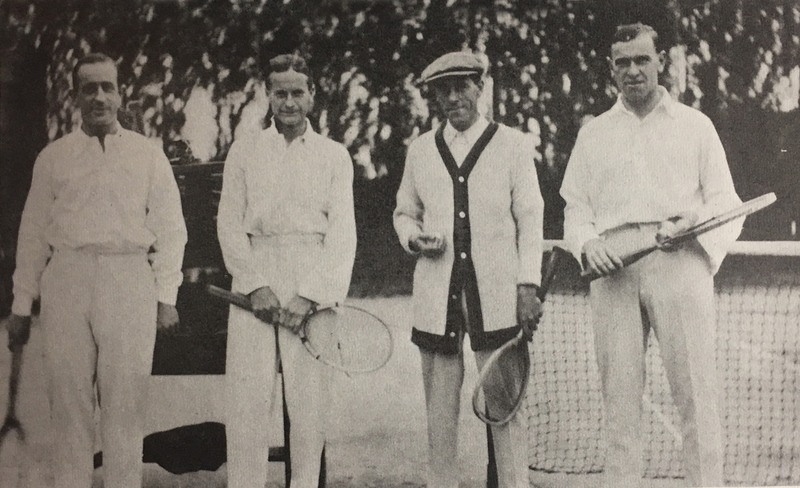 This era saw many high profile exhibitions and matches such as the 1919 Australian Davis Cup Meet. 1921 is a memorable year for a member, whose portrait hangs in the lounge, Doug Philpott. It was the year that he played in his first tournament at the Lawn, and he remembers that he won his first round match. 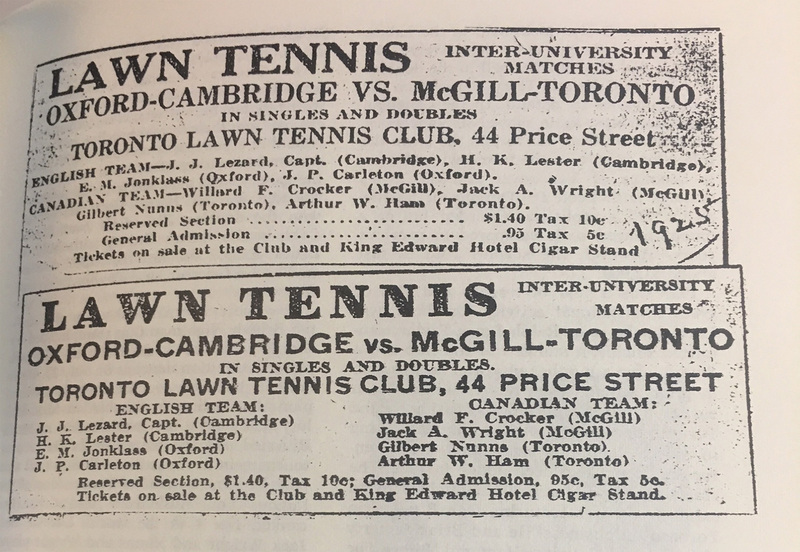 Ads promoting the 1925 university matches between Oxford-Cambridge and McGill-Toronto at Toronto Lawn Tennis Club. 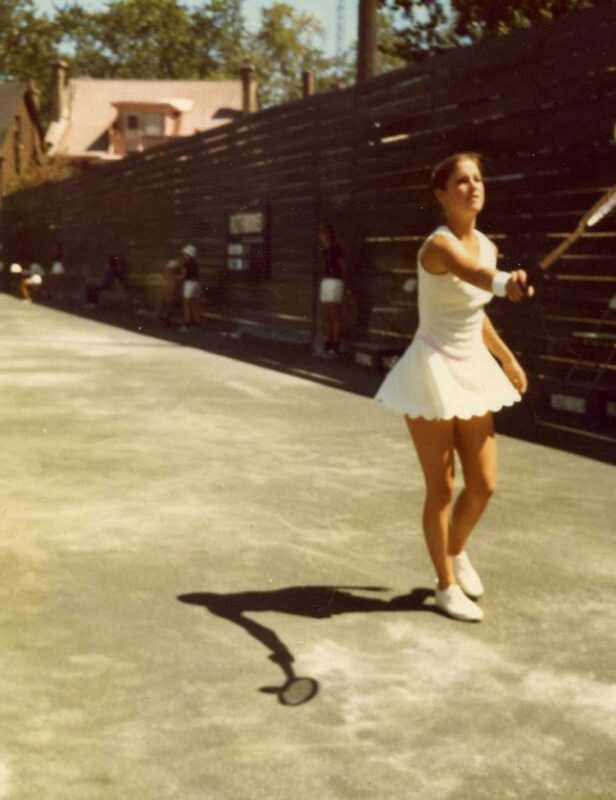 While much has changed in the years since this photo was taken at Lawn Tennis, those familiar with the club will notice what hasn’t changed—including much of the housing surrounding the outdoor courts. 1946 Saw the resumption of Davis Cup tennis; 1948 saw the return of the Canadian Championships to Toronto; In 1950, the Belgium Davis Cup team played some exhibition matches at the Lawn. 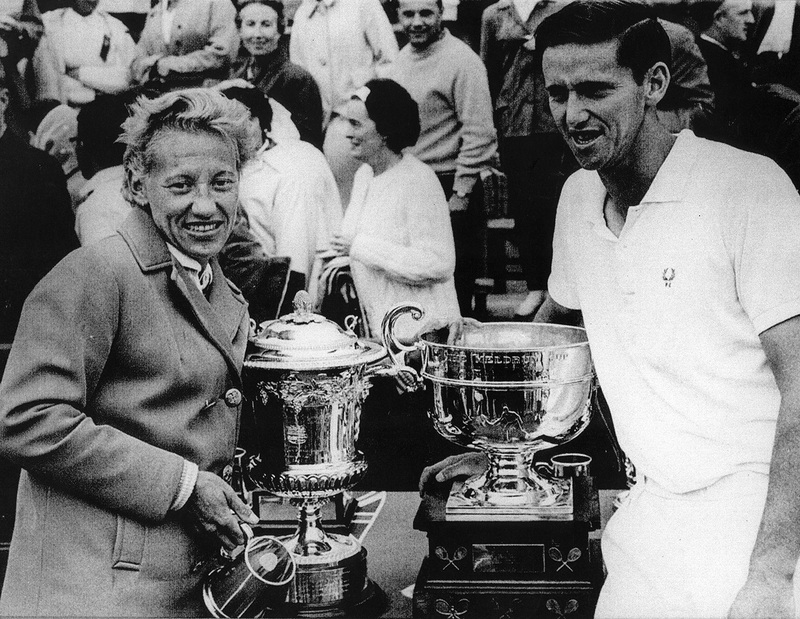 The Canadian Davis Cup team contained Lorne Main; The 1952 Ontario Championships were played at The Lawn and Louise Brown lost the final to Hanna Sladek. While sports, and particularly tennis, will always be central to The Lawn, over the years the social element of the club has become increasingly relevant. Here’s a pamphlet for an event at the club in 1959. 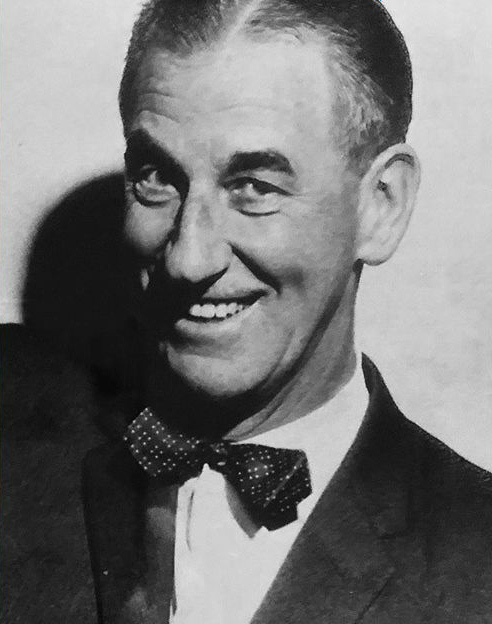 1959 was a year of change for the Lawn, a departure from the original philosophy of the club. 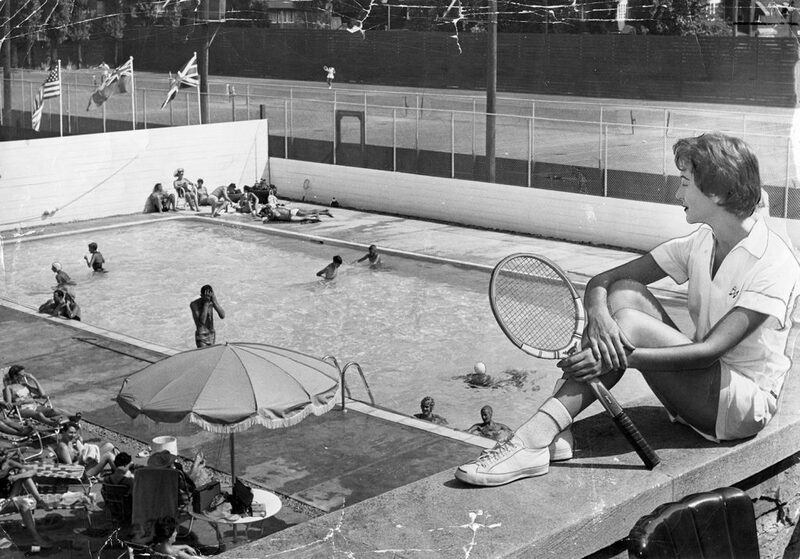 As the club expanded, it became a hub for summer activities for members, including swimming. 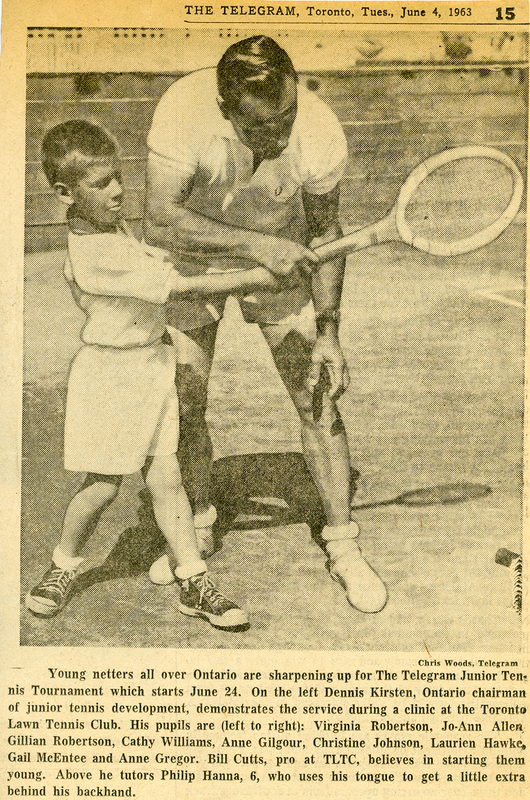 The club’s junior program has long been a focus for the club, as this photo, in the Toronto Telegram, demonstrates. Toronto Lawn Tennis member Benita Senn scored a great victory for the Lawn in the singles of the Canadian Championship in Montreal. 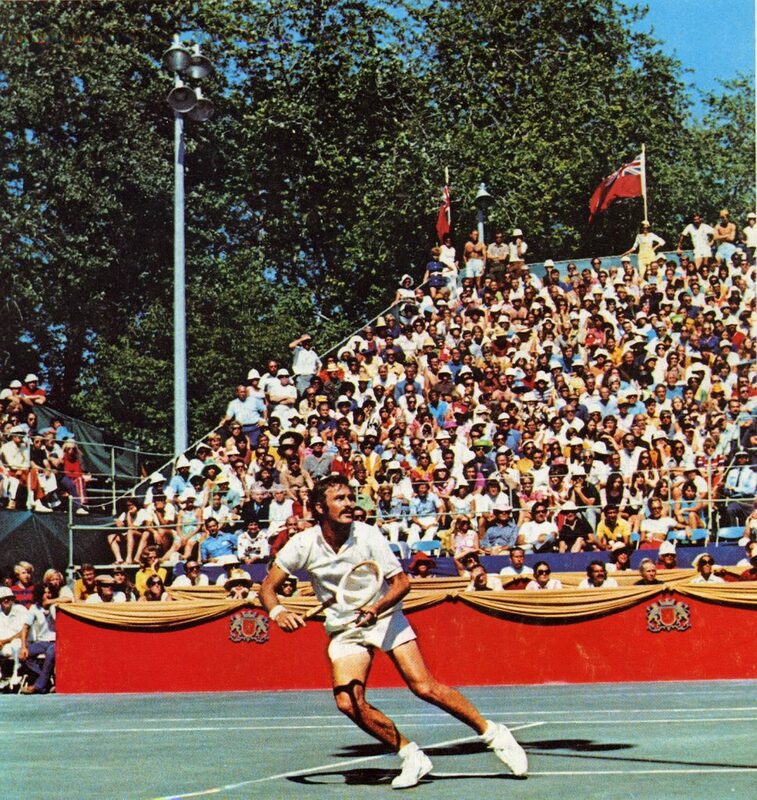 In 1969, the Lawn hosted the Open and Closed Canadian championships. 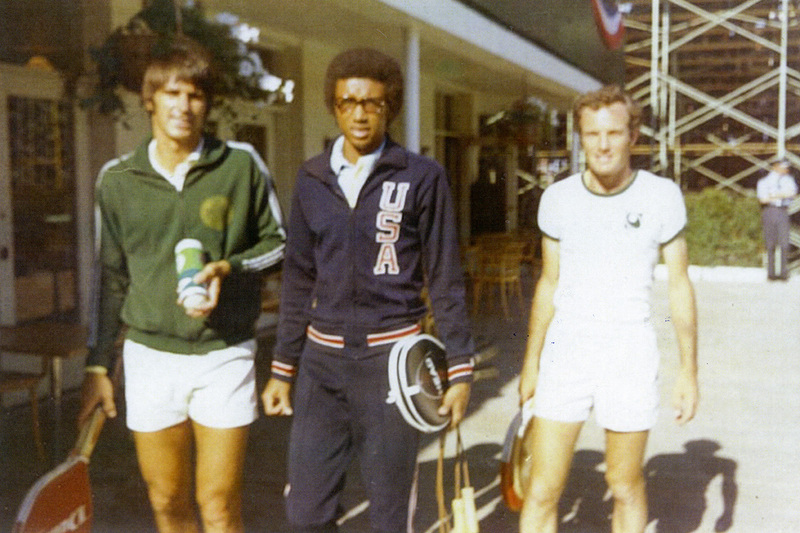 Cliff Richey won the men’s singles and Don Newcombe (pictured here) and Ron Holmberg won the doubles. 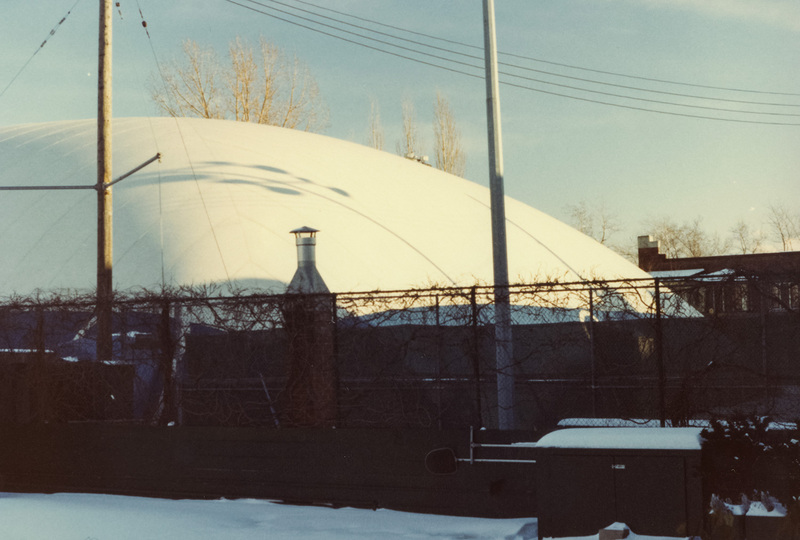 The two-court bubble acquired in 1969 was replaced by a three-court bubble, in order to provide winter tennis for more members. 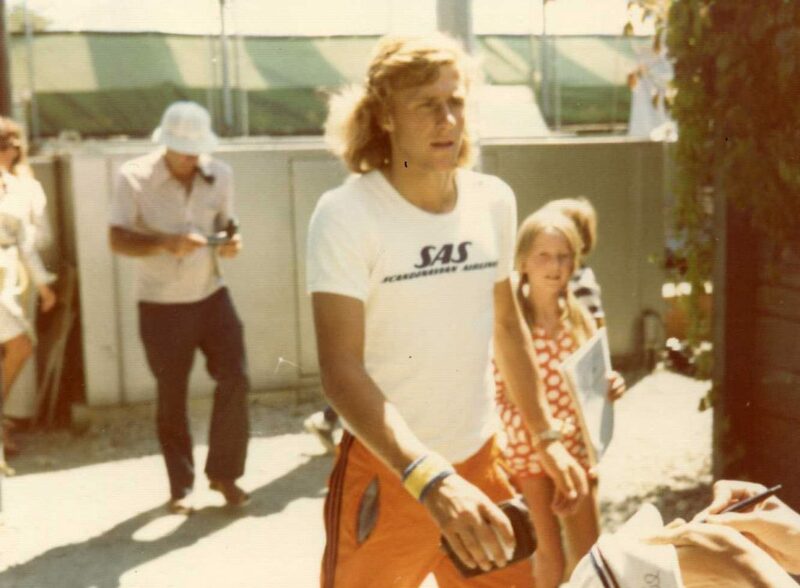 The 1973 Canadian Championships tournament was memorable for the first appearance in Toronto of the young sensational Swedish teenager, Bjorn Borg. He beat Ken Rosewall in three sets, but lost in the quarter-finals to Manuel Orantes. Arthur Ashe, the ace of United States Davis Cup team, fought a losing battle against Australia’s Ray Ruffles during Canadian Open tournament at Toronto Lawn Tennis Club. 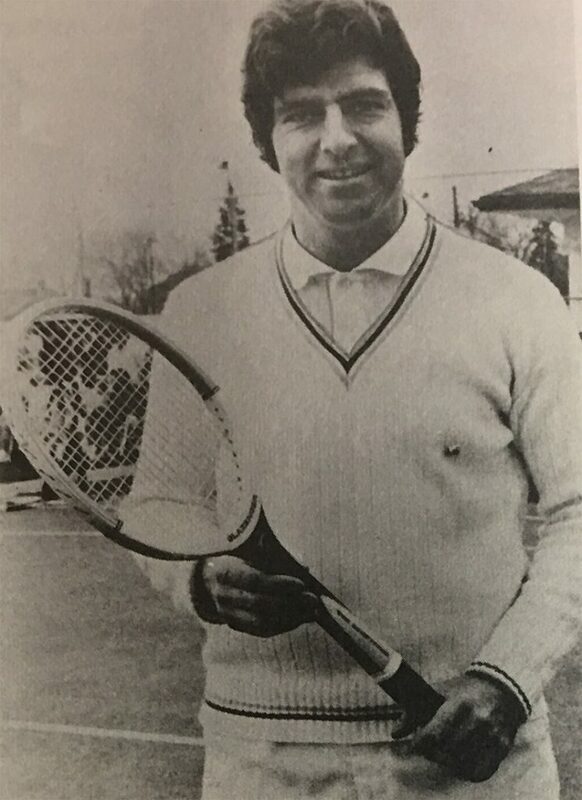 The 19-year-old Wimbledon champion played at the 1974 Canadian Open Tennis championships losing only six games in four rounds. 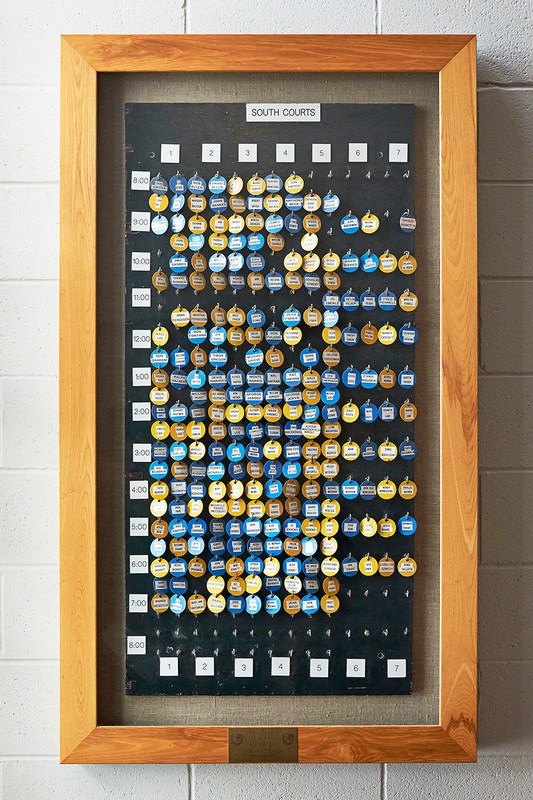 The Toronto Lawn Tennis Club modernizes by moving exclusively to advanced booking making its beloved tag board a tangible token of its illustrious past. 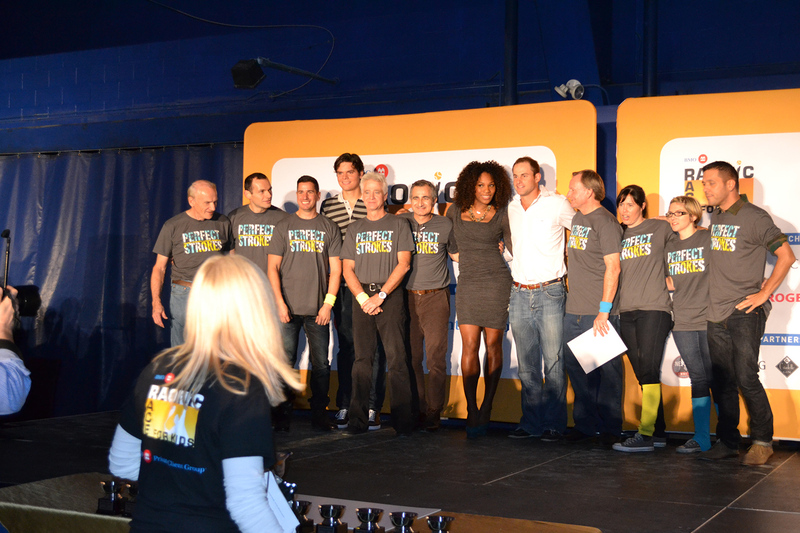 Raonic Race for Kids inaugural event is held at The Toronto Tennis Lawn Club and attended by tennis stars Andy Roddick and Serena Williams. Raonic, who is Canada’s most successful singles player in history starts his foundation after meeting a young girl with a prosthetic arm, who was using ‘Kids Tennis’ as part of her therapy.